A number of organisations – including the Academy of Medical Royal Colleges, Public Health England and the Royal College of Paediatrics and Child Health – have called for the creation of ‘fast food exclusion zones’ – banning fast food outlets from opening within 400m of schools and other places where children congregate. In this blog post, we consider the arguments in favour of restricting the growth of such fast food outlets near to schools, and whether the evidence supports this. The UK is now ranked among the worst in Western Europe for childhood obesity. Not only are more young people overweight or obese, they are also becoming obese at earlier ages and staying obese for longer. Indeed, recent statistics show that nearly a quarter of children in England are obese or overweight by the time they start primary school aged five, rising to one third by the time they leave aged 11. In addition to the social and psychological problems associated with obesity, obese children are at a greater risk of developing serious diseases, including coronary artery disease, high blood pressure and type 2 diabetes. They are also 20% more likely to develop cancer as adults than those of a healthy weight. There is also a financial incentive for addressing obesity in both adults and children – recent estimates suggest that obesity-related conditions cost the NHS around £6.1 billion per year. The total estimated cost to society is even greater – at least £27 billion per year. Indeed, the annual spend on the treatment of obesity and diabetes is greater than the amount spent on the police, the fire service and the judicial system combined. There are also strong reasons to address obesity from an equalities angle. Recent data compiled by Public Health England shows that there is a strong association between area level deprivation and the density of fast food outlets. Some areas, such as Blackpool, and parts of Manchester and Liverpool, have up to five times more fast food outlets than more affluent areas. The evidence is generally clear that deprivation is associated with higher levels of overweight and obesity, and lower levels of vegetable consumption. During the past 10 years in the UK, there has been a significant increase in the number of fast food outlets, and the consumption of food away from the home has increased by 29%. 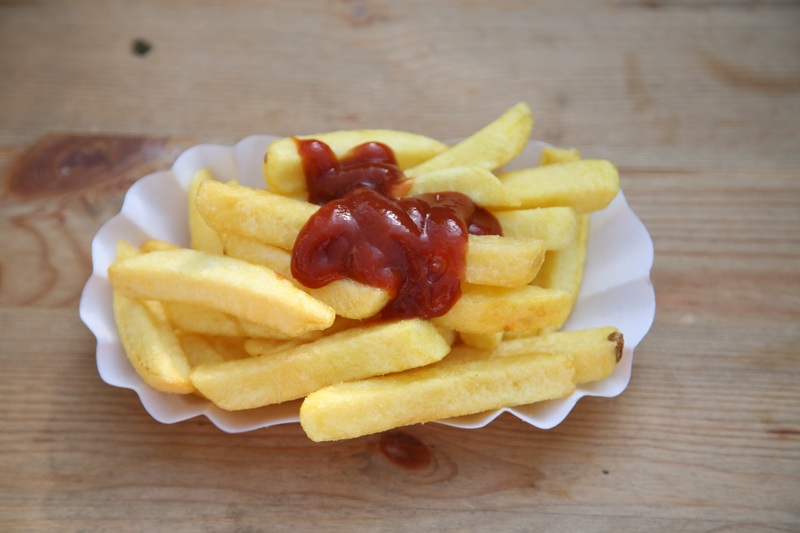 Researchers and policymakers have sought to understand whether unhealthy food environments – such as those with a high density of fast food takeaways – may encourage unhealthy food choices, and thus contribute to obesity. Last year, the Scottish Government published a research paper on the link between the food environment and the planning system. In relation to the link between the food environment and obesity in general, the report concludes that while the evidence is mixed, “overall the evidence would suggest that increased exposure to outlets selling unhealthy food increases a person’s likelihood of gaining weight”. In relation to the effect of the food environment around schools on children and young people specifically, the evidence is less clear cut – with some research showing a link to obesity while other research does not. Interestingly, there was evidence that access to outlets selling healthy food decreased the odds of being overweight or obese. Research by Brent Council, involving seven secondary schools – four of which were within 400m of a fast food outlet – found that 27% of students said they would not bother going out at lunch if they had to walk more than 8 minutes. It does seem like common sense – make fast food less readily obtainable and children will be less likely to consume it. In England, the National Planning Practice Guidance (PPG) outlines the role that planning can have in reducing obesity by limiting over-concentration of fast food takeaways, particularly around schools. It also encourages planning authorities to limit takeaways in areas with high levels of obesity, deprivation and general poor health, and in areas with over-concentration and clustering of outlets within a specified area. Similarly, the Child Obesity Strategy commits to developing resources to support local authorities who want to use their planning powers to restrict fast food takeaways, and providing up to date guidance and training for planning inspectors on the creation of healthy food environments. A number of councils have already implemented 400m exclusion zones. Some notable examples include St Helen’s Council, Sandwell Council, Dudley Council, and Milton Keynes. Sadiq Khan has included proposals for a 400m exclusion zone around schools in the new Draft London Plan, and plans to limit the number of fast food takeaways near schools in Luton were approved in 2018. At present, there are no powers to restrict fast food outlets on health grounds in Scotland – however, it is likely that this will change in the near future. “We will research precedent, evidence and good practice on the relationship between the planning system and food environment, including exploring how food outlets in the vicinity of schools can be better controlled, with a view to informing the review of Scottish Planning Policy”. “Taking account of Action 2.12 in ‘A Healthier Future’ and the research project, it seems likely that the draft National Planning Framework, expected to be published by the Scottish Government in 2019, will contain policies to control hot food takeaways and the food environment around schools. An evidence base to justify controls in local areas will be important”. Children have a right to grow up in an environment that supports them to attain the highest possible standard of health – and the planning system has a key role to play in facilitating this. Of course, the planning system cannot address obesity on its own, and the causes of obesity are far wider and more complex than just the food environment. Other approaches are also being put in place – including supporting food outlets to provide smaller portions and healthier options – some of which have been very successful already. The creation of a robust evidence base upon which to make informed decisions regarding the location of fast food takeaways and the creation of healthy environments is essential. There are already a number of useful datasets available for local authorities to use, including the Food environment assessment tool (Feat) and guidance on the creation of healthy food environments. As more local authorities make use of their powers to restrict fast food outlets, it will be interesting to see whether more evidence emerges of the link between fast food and childhood obesity. We at the Information Service will, of course, be watching this with interest.